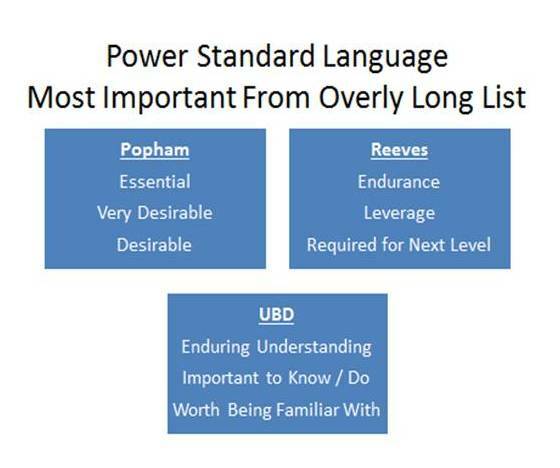 In a 45 minute preparation we examined the benefits of having power standards and some of the criteria for power standards offered by authors. 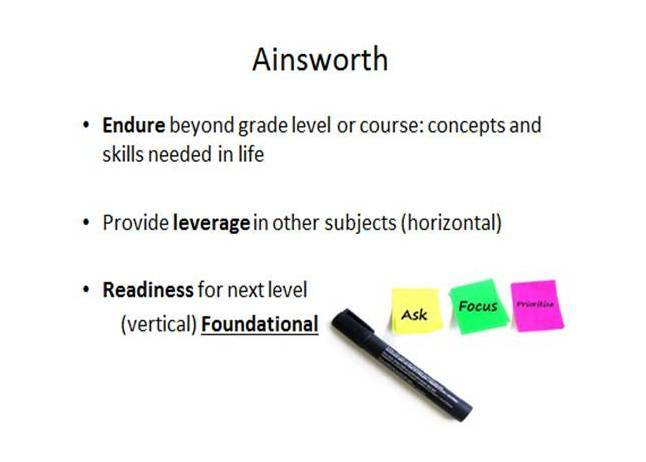 The leadership team had decided that we would use Ainsworth’s criteria of endurance, leverage, and readiness to select the power standards. Participants spent a few minutes seeking agreement on defining those terms. 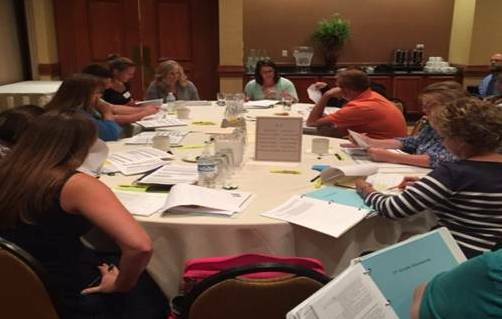 Then working in four groups (K-1-2, 3-4-5, 6-7-8, HS Math 1, 2 and 3) participants selected power standards for each grade/course level. Each group began with the highest level and worked down. 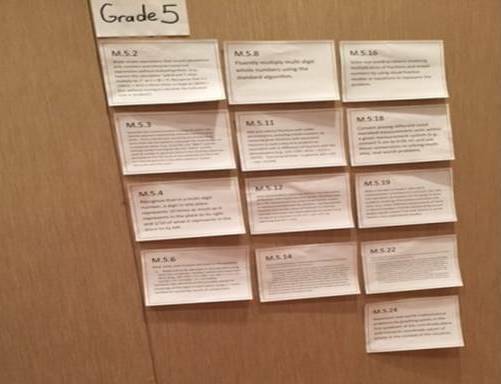 So, in this work session that started at 8 am, members left for lunch with K-12 power standards posted on the wall. *Concerns in alignment? Missing elements? This walk produced questions and concerns regarding the alignment between 2-3, 5-6, and 8-9. After the walk, participants returned to their grade level teams and examined issues that were raised. Several cross team conversations emerged. 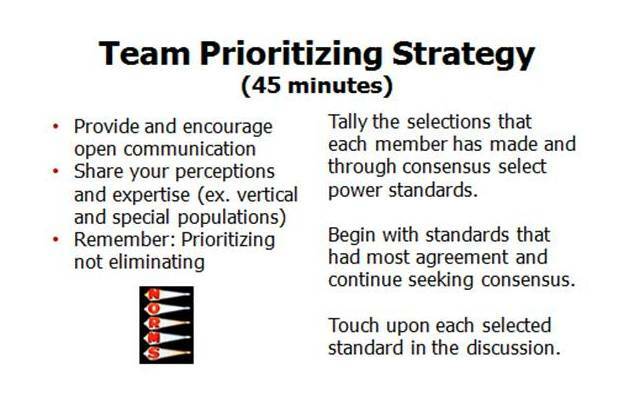 Some changes in power standards were decided upon from these discussions. 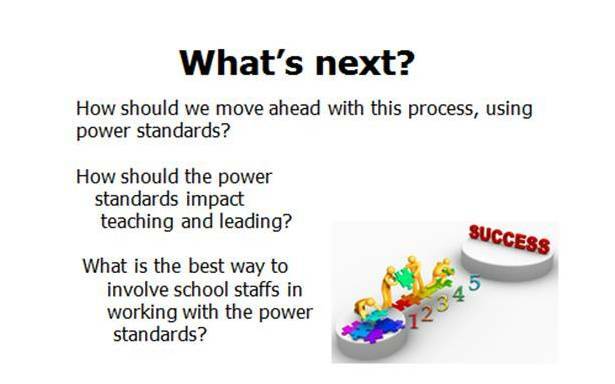 By 3:30 pm the teams had identified next steps in taking the initial power standards selected to the whole school staff. I was pleased with the progress made on this effort with a single day kick off. Follow through with the district leadership team will be crucial. If you have questions about the process, feel free to contact me. Good morning. Our district is asking us to do some work around selecting power standards or essential standards in ELA. I am having some trouble working through this process in elementary seeing that all the CCSS (FSA) standards are essential to learning to read at this age. 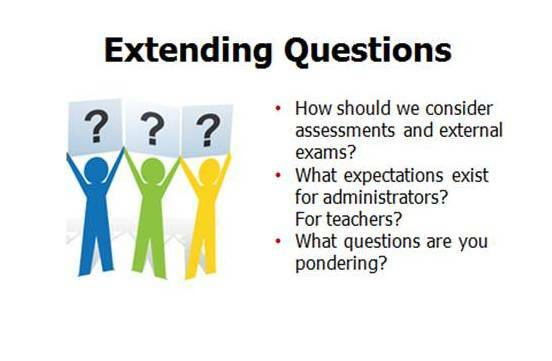 How can you assist in bringing some clarity for me with this selection of prioritized standards to teach? I feel, with my current knowledge, that it would not benefit the young learner to not have each reading standard be made a prioritized focus of learning. Thank you for all you do in providing supportive work around coaching. Reese, I am working to schedule a conversation to explore your question….. first thought to keep in mind. 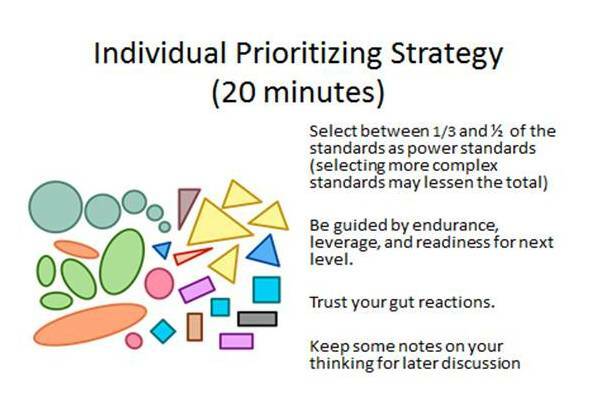 Power standards don’t have you drop anything….. its prioritizing not elminating. Love this work, Steve! Great ideas for me. Thanks for writing about this…very timely!